MELVILLE, NY. 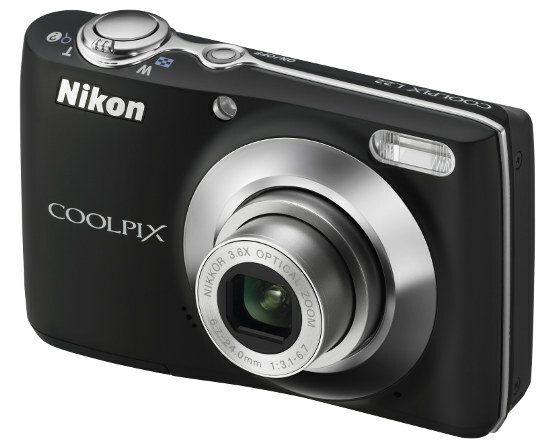 (Feb. 2, 2010) - Nikon Inc. today introduced two new COOLPIX compact digital cameras to its Life-Series line, which provide consumers an easy and fun way to enjoy snapping and sharing digital images. While the L110 digital camera affords users the ability to get close to all of life's moments with its powerful zoom lens, the compact design and ease of use of the L22 makes it the go-anywhere, anytime digital camera for any occasion. The L-series point-and-shoot digital cameras define simplicity and value, ready to capture life's precious moments with stunning quality and clarity with the aid of Nikon technologies such as the Smart Portrait System, Scene Auto Selector and legendary NIKKOR Optics. "These new additions to the COOLPIX L-series continue the tradition of empowering consumers to enjoy photography with cameras that are easy to use, with features that make taking great photos an enjoyable experience for the whole family," said Bo Kajiwara, director of marketing, Nikon Inc. 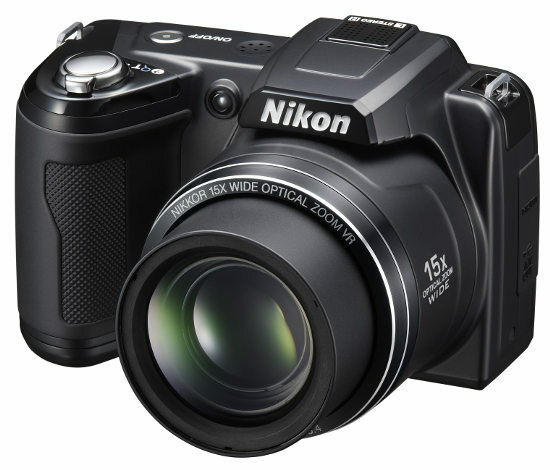 The L110 digital camera achieves its versatility through a 15x Optical Zoom-NIKKOR lens. Covering a wide 28mm to 420mm super-telephoto focal range, the lens can readily handle everything from action shots at the kid's soccer game to stunning landscapes from the family vacation. The 12.1-megapixel COOLPIX L110 features a large, bright 3.0-inch high-resolution (460,000-dot) LCD for easy composition, viewing, and sharing of images; while a new High Definition (HD) 720p movie mode features a built-in stereo microphone, and a dedicated movie selector button that makes it simple to switch from capturing stills to recording HD movies. In addition, the COOLPIX L110 digital camera features the ability to utilize the optical zoom and auto focus operations during video capture to make focusing and staying with the action simple and easy. For example, when photographing or capturing video clips of fast moving pets or children, users will be able to retain focus and easily keep the subject within the frame. Additionally, consumers will not miss the action with Sport Continuous Mode, which captures images at a blazing 11.1 frames per second (3 MP resolution). The COOLPIX L110 includes four AA Energizer® Ultimate Lithium batteries, allowing 840 shots or seven hours of video. The new L110 camera will be available beginning February 2010 and will retail for $279.95* MSRP and will be offered in black or red. The new L22 digital camera has popular camera features, including a large LCD screen, Auto Scene Selector and AA battery convenience, at an affordable price point. The new L22 is compact and easy to use, and the ideal camera for consumers who will not compromise on performance when looking to capture life's memories at an affordable price. The 12-megapixel L22 features a 3.6x Zoom-NIKKOR lens for creative compositional freedom, an incredibly bright 3.0-inch LCD screen for sharing and composing images and VR electronic image stabilization to help end blurry photos due to low light or camera shake. The new L22 will be available beginning February 2010 and will retail for $129.95* MSRP in a choice of colors, including black, red, blue and champagne silver. For more information about the new L-Series COOLPIX cameras, as well as the full line of COOLPIX products, please visit www.nikonusa.com.